In 1947, a group of dedicated volunteers started a small clinic in a doctor’s waiting room for the treatment of children afflicted with poliomyelitis. The continued efforts of these few persons resulted in the birth of this Society. Pandit Jawaharlal Nehru became a patron, and was instrumental in the grant of land to Society for Rehabilitation of Crippled Children (SRCC) at Haji Ali. Since then it has been a society serving the needs of Children, from all sections of society. 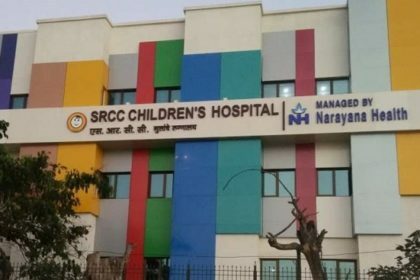 The aim of SRCC is to organize hospital and clinics for the diagnosis, care, and treatment of children; and children in need of alternate support. All services have to be child friendly, giving Health Hope and Happiness. The Society has expanded its facilities to treat various ailments affecting children by establishing a ‘Centre for Child Development’. This Centre aims to be a one-stop-shop for children from different backgrounds and from across India by housing various physical and mental therapies and treatment solutions under one roof. It has further expanded by establishing a Tertiary-care super-specialty Children’s Hospital. The 200 bed hospital exclusively for children, houses many specialties aimed towards transforming children’s health in India. Some of the tertiary care facilities and services are Cardiology and Cardiac surgery, Neurology and Neurosurgery, Oncology, Orthopedics, Nephrology, Gastroenterology and Urology and a Blood Bank. This is our main philosophy at SRCC. SRCC is the first institution of its kind where a pediatric hospital and a therapy centre are working together for the benefit of children. “My son had started his therapy at SRCC since 2016. It has been two years and I am very happy with the services and the staff who have been very co-operative with me and my child. SRCC has got good therapists and neat and clean departments and facilities. My child has shown great improvement in these years which has been my greatest motivation to continue with this Centre till date. Therapists are excellent therefore I haven’t ever thought of shifting the Centre though I have to travel all the way from Nalasopara Thrice a week”. "I was referred to this centre by Dr. Viraj Sanghi, I have seen lot of improvement in my child so I am continuing with the therapies here. Good therapists and understanding staff makes this centre an excellent place." "I have been affiliated with SRCC Centre for Child Development for many years. The Centre has an excellent team of dedicated, caring therapists in multiple rehabilitation specialities. Over the years I have seen it grow in its spectrum of care as well in its expertise. It is an ideal one-stop-shop for children with any disability. The humanitarian aspect is also looked into with subsidized care for under-privileged." "It is great news to know that SRCC has start a full-fledged stand alone standalone world class Children's Hospital in the city of Mumbai. I have been associated with SRCC as a Trustee since early 2000. Dr. Shantilal Mehta and Mrs. Anita Garware, shared a vision: it was their dream to have a much needed children's hospital where medical or surgical treatment was given to a child, be he rich or poor, without consideration of caste or creed under one roof. It was a long, arduous journey but ultimately the goal was achieved to the satisfaction of people who have struggled for so long tirelessly & selflessly. The children of Mumbai & India will bless the efforts of those who have put in their utmost to bring up such a great institution where every medical need will be taken care of by the best medical & surgical team of doctors and with the best equipments. Dr Devi Shetty is to be complimented for taking charge of managing the institution. It is worth noting that Mumbai is the only city in India where two tertiary care Children's Hospitals are available today." "The SRCC Centre for Child Development offers comprehensive, multidisciplinary care for children and infants with special needs. The ethos of the centre is to provide high quality medical and rehabilitative expertise coupled with the principles of family centred care. In addition, financial assistance is provided to families who are economically challenged. Patients and their families thus benefit greatly from the multifaceted care provided at SRCC."